Special thanks to Mark Kafka for allowing me to repost his story. I am going to make this as short and brief as possible, I don&apos;t know how to rate the skill rating it takes for this install as I have changed spark plugs in late model cars that have been a bigger project than this was. 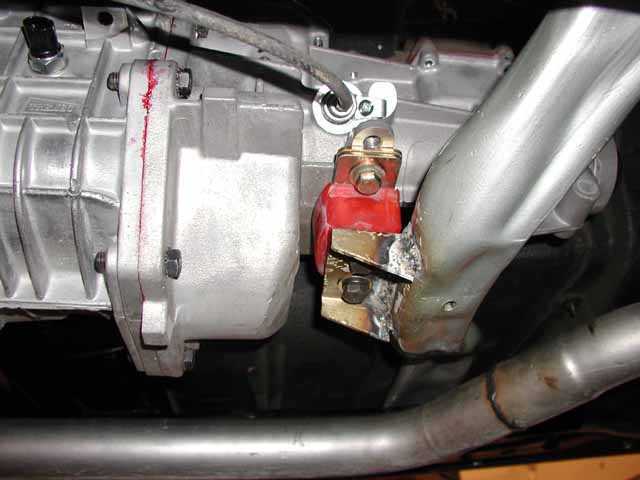 So what I am saying is if you know what end of a torque wrench goes on the bolt you can probably tackle this. Approximate time it took me to change out my Muncie to the TREMEC was about 10 hours. Here is a view of what I got with the "GM package". 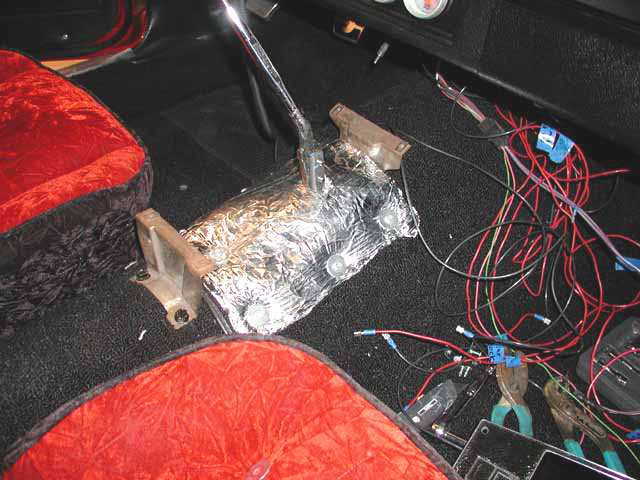 It included the trans, speedo drive and matching gear for your axle ratio and tire size, brass plug already installed in neutral switch spot, a C6 slip yoke, and 3 quarts of synchromesh fluid and a plug in connector for the backup lights. First off, obviously remove old trans and install your new clutch and pressure plate. I used a Centerforce 11" 26 spline 1 1/8" kit which was Summit part number ctf-n1716 and throw out bearing ctf-n1716. Price of about $265. Next I bolted in the new trans, which I had removed the top shifter from and covered with some plastic so I wouldn&apos;t drop any junk into the trans later when enlarging the shifter opening in the tunnel. Removing the shifter makes it a lot easier to install as you don&apos;t have to tilt the engine back to get the trans to slide in and then you can actually look down the top side to see how much metal you have to cut out to fit the shifter in. In this picture you will see the first problem I ran into which was the top passenger side bolt is so close to the trans that you can not get a wrench or thin wall socket on to tighten it up. 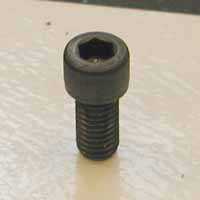 I ended up removing this bolt and installing this allen headed bolt which is 1/2 x 13 pitch. Crossmember: I used my old trans mount and modified it to fit. What I determined to be the quickest and easiest fix was to cut off the tongue of the mount and shorten the tongue by about an inch. I shortened it an inch so I could just elongate the 4 factory bolt holes in the sub frame without having to hole saw 4 new holes in the lower part of the sub frame to get the mount bolts into. All in all the trans mount moved rearward about a half inch. 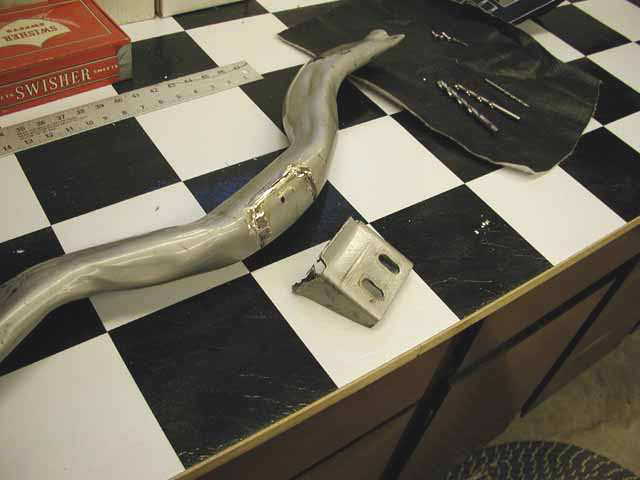 When I welded the tongue back on I had to drop the tongue down about an inch to keep the trans from hitting the tunnel. 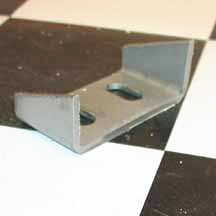 It is a tight fit between the trans and the tunnel but you do not have to modify the tunnel in any way to make it fit. Here is a pic of the mount all done. You can also see the speedo cable installed with no modification and yes, I am obviously not a welder by trade. Here is one more view from the back. Driveshaft: Now that the trans is in I fitted the drive shaft which I had the original shaft shortened exactly 2". The shaft tube was too small to weld on a C6 end to match up with the C6 slip yoke supplied with the trans so I opted to use a combination joint to mate the two. The two U joint part numbers that I used were 1-0134BF and 1-0153BF which were Brute Force brand joints. Backup Light: All that is left on the underside of the car was to wire in my backup lights which is pretty self explanatory. Just take your two wires and cut the ends off the wires and crimp them into the snap in connector supplied with the trans. Snap the connector into the trans and your done. Console: On the top side of the trans I then cut out the metal in the tunnel so that I could access the 4 rear shifter bolts from the topside and the front two I access from the bottom side as I didn&apos;t want to make any bigger opening that absolutely needed in the tunnel. 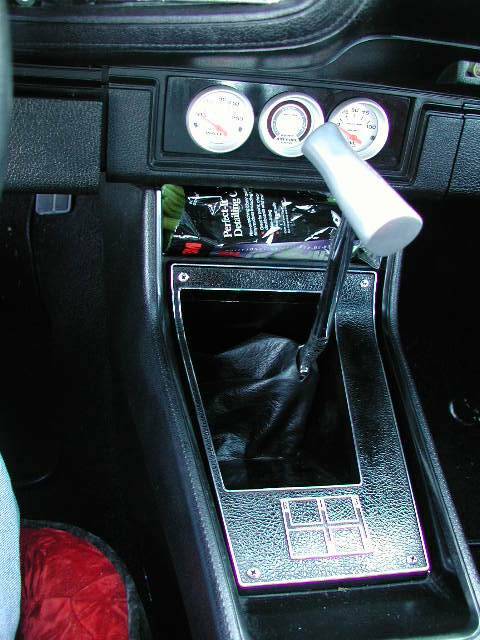 As you can see the shifter is hugging the passenger side of the stock console but does fit ok. Here is a picture with the console plate in place. 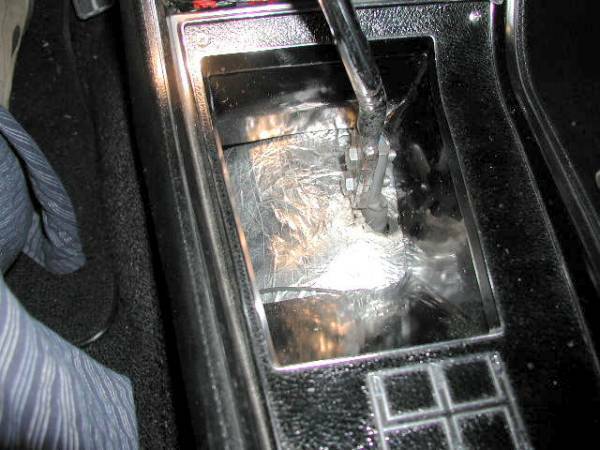 To seal up the shifter hole I made a thick rubber mat about a half inch thick and covered it with some aluminum tape being there is really no use for a shifter boot because it is built into the shifter and nothing else moves. It sort of resembles those sound deadener mats but on a much thicker basis. 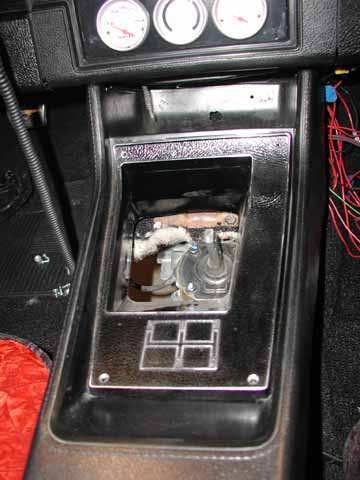 After I got the console all together all that was left was to install a shifter handle. I used my old Hurst shifter handle and just drilled some new holes in the base to line up with the holes in the shifter stem. 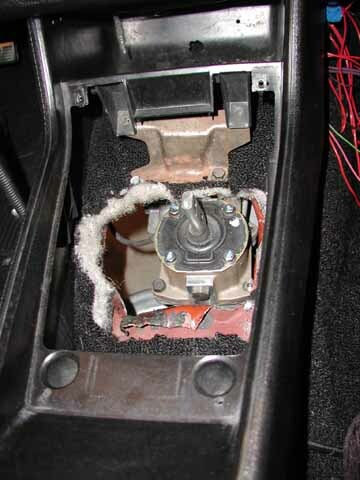 I then installed the shifter with (2) 3/4 inch long M8 metric bolts. Notice how I angled the alignment on the two shifter holes to tilt the shifter backward a bit, otherwise if you install it straight up you may be beating your knuckles on the dash bewteen shifts. 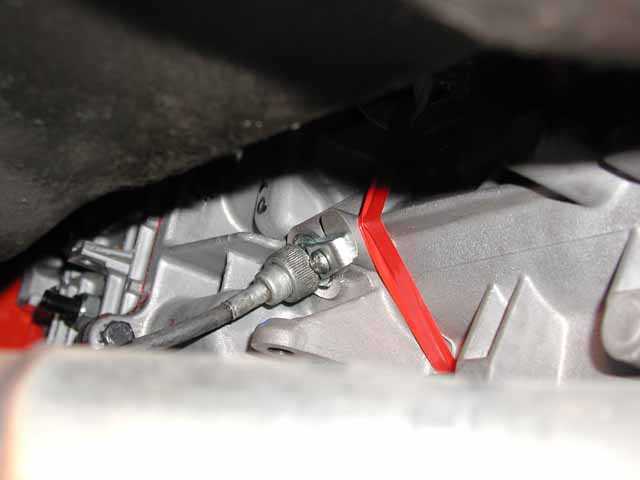 I then filled the trans with 3 quarts of Dexron fluid for the break in period of 500-1000 miles and ran the car through the gears on blocks for the recommended 10-15 minutes before taking the first spin. Notice that the stock speedo cable will work! 1st gear in console without the shifter boot. This shifter is in the 19.5” rearward position, and is centered on the trans. 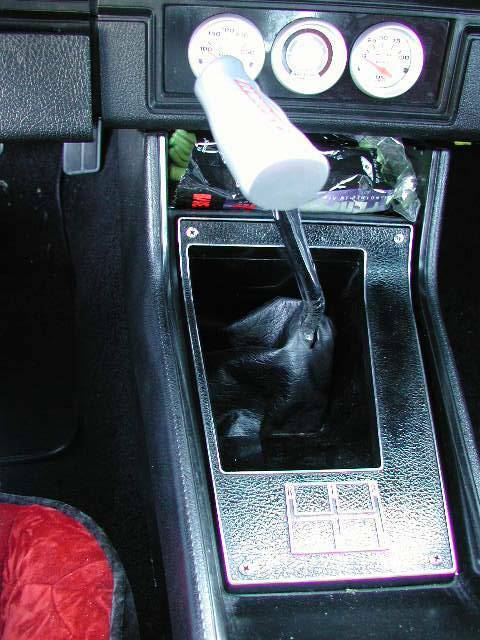 5th gear in console without the shifter boot. It’s close, but doesn’t hit the console. 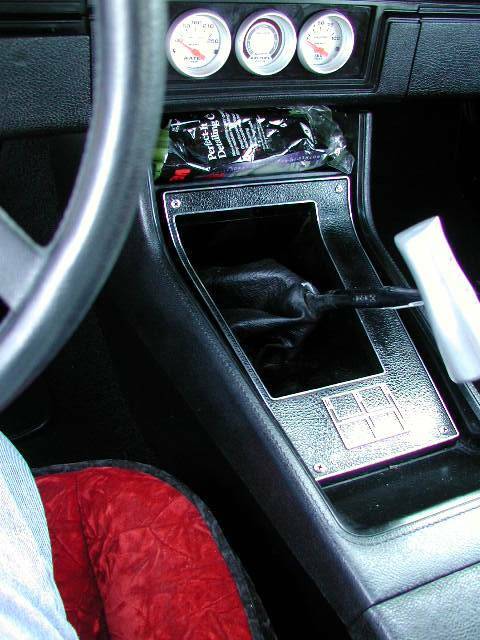 Finished console, with shifter in the neutral position. 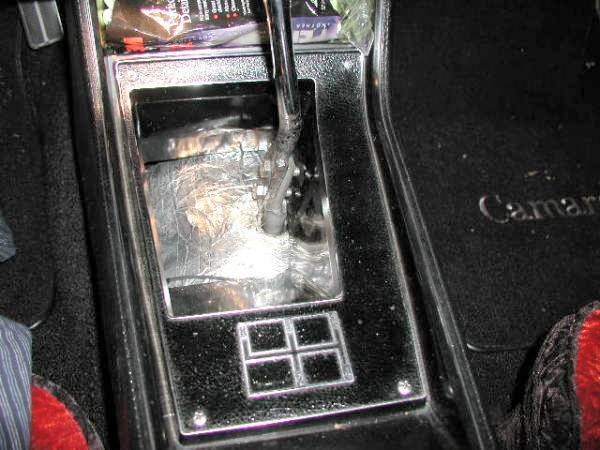 Finished console, with shifter in the Reverse position. Finished console, with shifter in the 5th gear position. And of course a write up of this quality wouldn’t be complete without a pic of the car!